I specialize in video production for social media and broadcast. Here's my fancy reel. 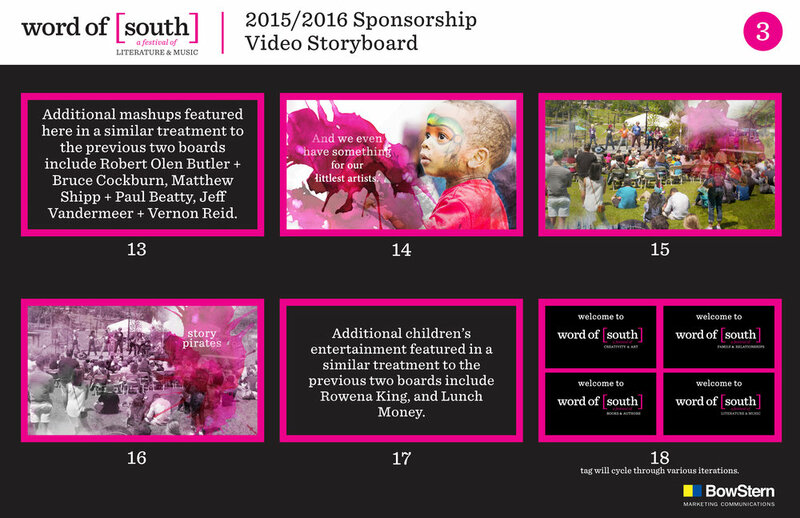 For my first sample, I started with a series of client-facing storyboards that reflected the imagery and the script. ADDY award winning piece. Created this from concept to production using found footage and photographs. Motion graphics were done in After Effects. From conception, to pre-production, production, and post-production, I created this with the help of my team in only 8 weeks. Our goal was to create more brand awareness for the client in a subtle way that forces you to see these vans everywhere around the city. Has garnered more than 1 million views. For the following video, I created storyboards as well as the script. See the presentation and video below. Created the script, storyboards, and followed through with production and post. Has had over 200,000 views. Our video for social media reflecting our switch from cable internet to fiber. Brand updates for public media network, including producing the sonic brand.